It’s that time of year when everyone gathers a list of all The Best of, of which this is not, or least not ‘best’ as in good, or should be nominated for a Giller Prize. Anyways, I got looking back through my drafts, and actually used one from the summer for a recent post (shhh…not saying which), and thought maybe I’d take a look at what I posted, in comparison to what got shelved. I haven’t edited these (well, some spelling cause I am horrid). So, here we go, for better or worse. It has come to my attention recently that I’m not a total whack job, and that talking to Fred, my Ficus, is not completely in vain. Yip, that’s it. Had been watching this Doc on the interconnected nature of trees, and was spellbound by the bond they have with their environment, how they send out nourishment to their offspring, and the …well anyways, began to sound in my head like I was writing some article for National Geographic, and not a personal blog. So that was ditched. Five days later I published this – make it so. Instead, I wrote about my Ficus benjamina that I call Fred. And yes, I do talk to Fred, we’ve been together now for over 25 years, so we know each other well. Then, later in the month I dove back into the heady waters of U.S. Politics, of which I do try to stay clear, but not always successfully. This is a product, you know, of my insatiable news addiction, I need to find a new hobby. But anyways. One of my favourite versions, from ‘Appalachian Waltz’, with Yo Yo Ma and Allison Krause…stunning. And somehow these tears came to my eyes. It has always reminded me of my Grandmother, that song Simple Gifts, as she used to hum it all the time. It was one of her favourite songs, and basically in a number of ways sums up some of the things she taught me. But these tears were not for her. No, these tears were maybe frustration, disillusionment. When I look south of the Canadian border and look towards my Fathers family, I don’t know who it is I see anymore. What did I miss? And don’t get me wrong, this creeping fear of the other has manifested itself here, with comments on come across on Facebook, and snide remarks about new policies in Toronto schools about providing a place for those of other faiths to pray, such as Muslim. And the quip about taking out the Lord’s Prayer in the morning, as I stand in line with them after work on Sunday afternoon at some retail store. Doesn’t prevent them from SHOPPING on Sunday though, I see. Completely off in LaLa land to actually imagine maybe the world was a different place than it is. I get sad, you know? I cry real tears for an America I understand. And I hear those beautiful words, of that simple song, and I can’t help but wonder, what happened to just simple gifts? You know, like maybe inclusion, community, compassion, empathy, faith, understanding? Love? When we have so much, and there are those with so little. And all this hate, for what? And God alone knows what the heck conspiracy theory of the moment is, but mark my words, you can guarantee someone is benefiting a WHOLE bunch. And, dang it all, why am I crying REAL TEARS over this!!!?? I’m saddened, sure, just more than I realized. How did this once great nation lets the wolves in? How? With racism, and hate. Well, and believing all the BS that these talking heads spout. See, I don’t watch TV, don’t catch the evening news, don’t follow the latest crap of some Kardashian or some other media “star”. Seriously, couldn’t care less. Actually, I could care less, but I don’t believe there is an actual word for how much less I could care. So there. But there I was, washing my door, and listening to simple gifts, and crying real tears. I was born in the North Carolina, and lived there, in a dinky little trailer till I was 2 and a half. After which I’ve merely spent vacations every few years in the south. Driving down I95, winding so far round Washington D.C. and then crossing that Mason Dixon line, everytime thinking about why it’s there, and what that line means. Same division, just I guess the lines got a little tangled up over the years, but there is still a line. And I cried real tears, thinking about a place that I thought was just crawling out of that dark age it put itself into, through racism and hate of the other. Thought maybe they had learned a thing or three. A day later, I posted this – EUSTON. Just pictures, no words. But I couldn’t let it go. That sense of something lost haunted me, but I decided I needed to say it in another way, so I went back and finally posted The Comfort Of Historical Knowledge. 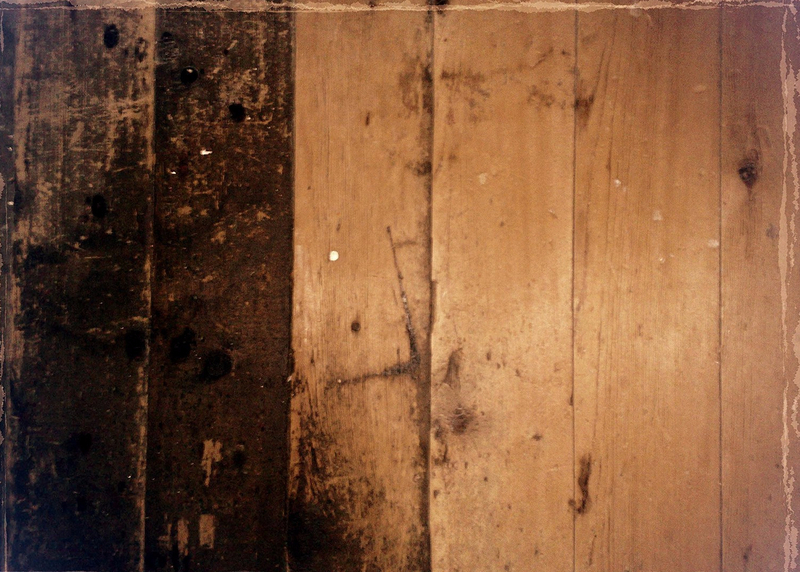 [April 6th] The featured image was a shot of the floorboards of the old attic, or we called the attic; actually would have been the servants quarters back in the mid-1800’s. It was taken just before the space was renovated as a suite for Dad and MsB a couple years ago. The dirt underneath my fingernails, the sweet scent of the earth, the hope and gratitude gardening creates is a beautiful distraction from the insanity that haunts me. Or, rather I suppose that I allow to haunt me. For I do hunt for the tidbits the same as any other news junkie. I can’t help it. It’s an insidious hate that poverty doth wrought. On the backs of those whose very existence is hand to mouth. Kept ignorant, impoverished and at the mercy of those whose actions, when they do choose to act, are done always for their own benefit. Believing every hateful utterance that condemns those they have been trained to be hateful towards. It’s a vicious, self-serving blanket of lies and half-truths, that haphazardly covers any truths they wish to hide from. So, it is to the garden that I escape. At the end of the sidewalk, inbetween, is where you will often find me. Sitting on my stoop, with my dog at my feet, soaking in the shade of the Black Walnut over my head, here in my nook. Instead, I posted garden the very same day. This was one of the first where I took those long-winded essays and swept away whole sections, getting right to the core, but this time I left the two separated. Yet, at other times, I ignored it completely and went off in a completely different direction. Even now, I still half expect him to show up some night, real late at night when I have to work early early early the next morning, just like he always did. I don’t really believe he would, and he said he never would, not in two million years, but I still half expect it. Like anyone I’ve cared for, figures into my world long past there expiration date. Not so much from some pathetic belief they want something, but more as a fantasy, I suppose, so I know they really did actually care. Although, in BealArt guys case it was never clear if he actually could feel real emotions anymore, or if everything had just been switched off when his baby girl passed on that night so long ago. His ability to feel was always a joke, but I always thought he was the way he was because his feelings ran so deep, they were so big, but he never learned how to deal with them, just how to control them. Though every now again I could see the side of his mouth twitch, you know, like a ventiquilquist. Two shots I didn’t include with that post, for whatever reason. Yes, I do sometimes prefer plants to humans, far less complicated. 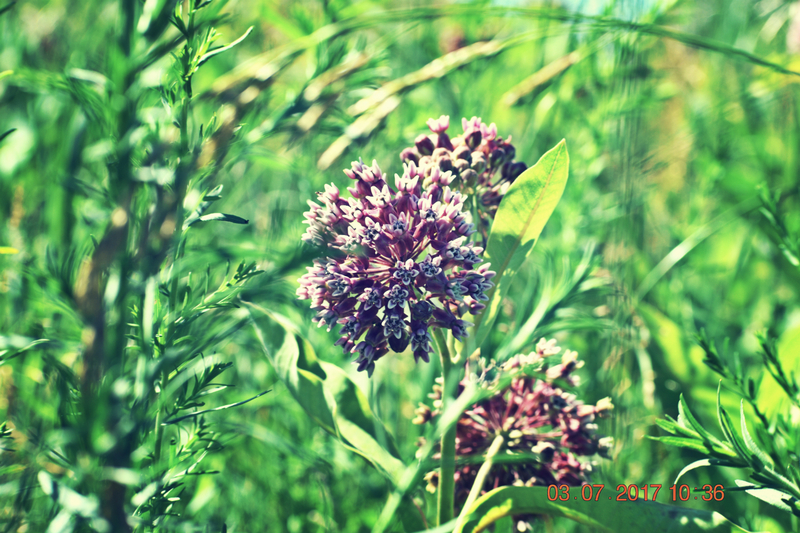 It was inspired by a walk a couple of days before, and the air was filled with the smell of Milkweed from Euston Meadow. Even the next morning, when I was riding to work, as I rode by it was intoxicating. There were hundreds and hundreds of them, great sweeps of them. I had no idea Milkweed could smell so sweet. Which I guess I was going to post in response to a Photo Challenge, but something stopped me. Instead, the next day I posted this, actually for another Photo Challenge – a bridge for the sun. Can’t remember what book it’s from, but it applies, “it was the best of times, it was the worst of times”. It’s interesting, looking back at what I posted, and what I left unsaid. Kind of a snapshot, in a certain way, of my writing process (or lack of at times). Sometimes its something I came back to, while others never saw the light of day, till now. As this year comes to a close, I do want to thank you, all you who read my simple words. I just nominated you for the Liebster Award. In your case, this may be redundant, but I do like your work very much.